Kia Sportage Running Costs, MPG, Economy, Reliability, Safety | What Car? The 1.6 diesel in 2 trim is keenly priced, undercutting the equivalent Nissan Qashqai, and PCP finance deals are attractive, too. Spec for spec, the Sportage is similarly priced to the Seat Ateca and Skoda Karoq, but the Sportage’s other engines look less competitive against its rivals, and the higher trims are particularly hard to justify. Not only that, but even the 1.6 diesel (the most efficient in the range) doesn’t have as low CO2 emissions as most rivals, including the Qashqai and Ateca, and so will cost more to run as a company car. Fuel economy, both official and in the real world, also leaves something to be desired, proving slightly less economical than those two rivals. However, by most standards, the Sportage in its more sensible spec options is quite tempting. Even the naturally aspirated 1.6 petrol is worth a look if your mileage is low, because it undercuts the 1.6 diesel by a significant amount. Kia doesn’t really do options; you just have to pick the trim that suits you best, and then it’s a question of whether or not to add metallic paint. Chances are you'll want to, because the only no-cost colours are white and black. The trim range is a bit convoluted. It’s numbered from 1 through 4 (missing 3), with two sporty GT-Line trims topping the range. If you’re just after a family SUV and aren’t too bothered about luxuries, 1 is tempting. 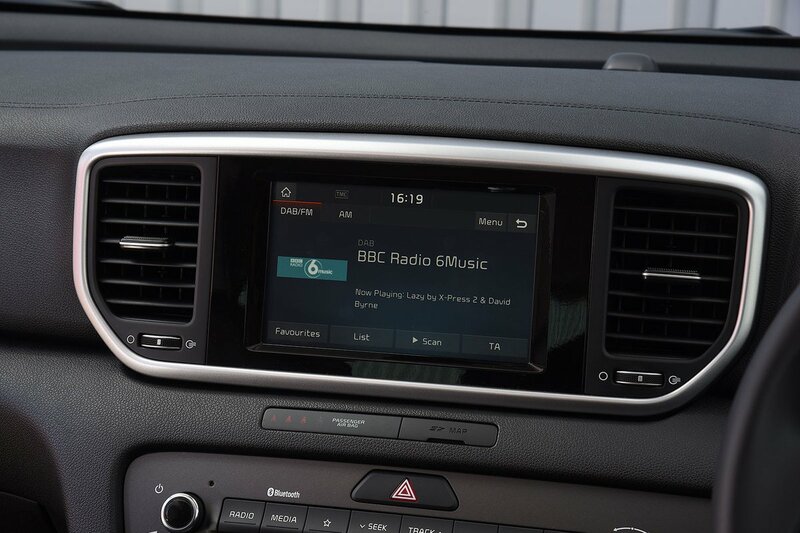 Even so, we reckon 2 trim makes the most sense, because it adds sat-nav, rear parking sensors, heated front seats, power-fold door mirrors, dual-zone climate control, automatic lights and wipers, rear privacy glass, more safety kit and 17in alloy wheels. 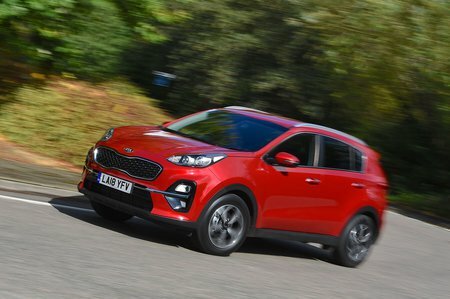 Kia as a brand came an impressive joint fourth out of 31 manufacturers in our 2018 reliability survey for cars aged one to four years old. The Sportage came top in the family SUV class, so there’s a very good chance that Sportage ownership will be trouble-free. Don’t forget there’s also Kia's seven-year warranty to fall back on – that’s the best in the class by some margin. 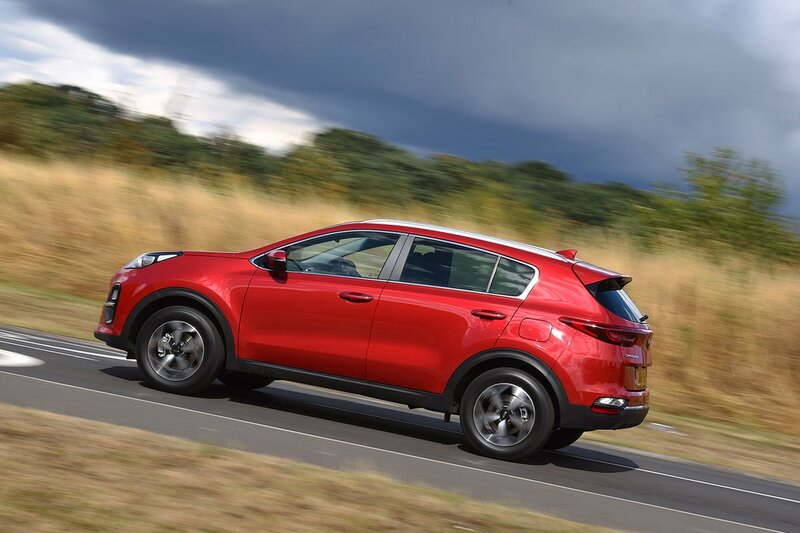 With six airbags and trailer stability assist (which helps to counteract the effects of a trailer swaying) standard even on the entry-level model, the Sportage is competitive when it comes to safety kit. However, 2 trim is even better, because it uses traffic-sign recognition to beam the road's speed limit onto the dashboard and adds lane-keeping assistance and automatic high-beam headlights. However, it's disappointing that blindspot monitoring and automatic emergency braking (AEB) are available only on Edition 25 trim or above. Some rivals get AEB across the range, because it’s regarded as an essential piece of safety equipment these days, so Kia would do well to at least offer it as an option on cheaper trims.